With so much focus on water availability and cleanliness outside of the United States, it is hard to imagine that similar issues could be impacting our nation soon. However, it's not too far out of the realm of possibility, especially in drought-stricken regions. American Rivers, an organization dedicated to protecting U.S. waterways, released their annual list of endangered rivers. 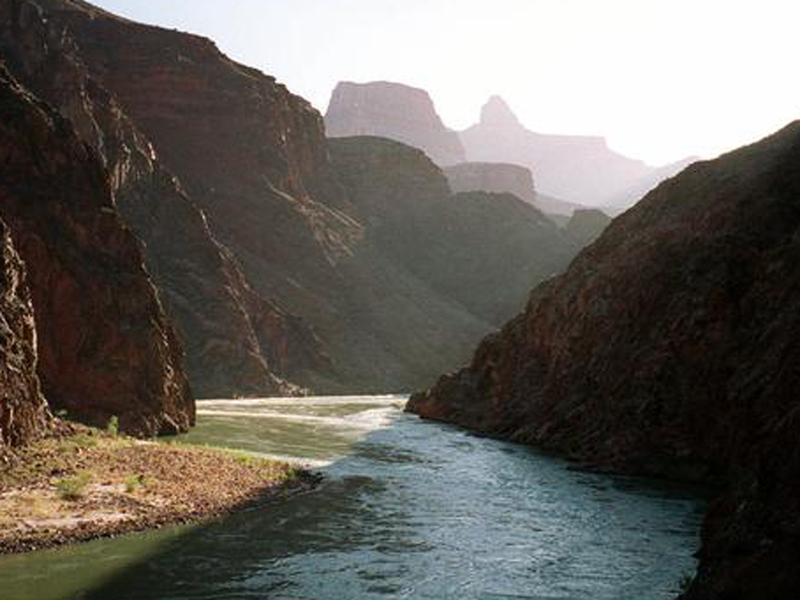 Their list named the Colorado River as the most endangered river in the nation due to outdated water management, increased drought and overuse. "This year's America's Most Endangered Rivers report underscores the problems that arise for communities and the environment when we drain too much water out of rivers," said Bob Irvin, president of American Rivers in a statement. "The Colorado River, the No. 1 Most Endangered River in the nation, is so over-tapped that it dries up to a trickle before reaching the sea. We simply cannot continue with status quo water management. It is time for stakeholders across the Colorado Basin to come together around solutions to ensure reliable water supplies and a healthy river for future generations." The Colorado River runs through seven states and even into Mexico. The water is used for over 36 million people, and irrigates close to four million acres of land. Not only do those populations use the river for day to day needs, but it also helps to support around 15 percent of crops grown in the United States. Current drought conditions are increasingly putting stress on quantities available for human use, but it is also causing major problems for the flora and fauna of the area. Researchers suggest that the flow of the Colorado River will reduce by 10 to 30 percent by 2050 due to climate change, limiting the amount of water available to all living things in the southwestern United States. People not only use the water for drinking and agriculture, but a large part of the Colorado's use for residents is because of leisure activities. The river itself supports a huge recreational industry and the economy of the surrounding states will be greatly impacted as the access to the river shrinks. "Flowing across seven states, a healthy Colorado River system drives a quarter of a million sustainable, American jobs in a $26 billion outdoor recreation economy," said Nazz Kurth, president of Petzl America in a statement. The company produces outdoor equipment for sport and professional use. "Demand for Colorado River water now exceeds supply. Yet, for Petzl and hundreds of companies across the Southwest, the people we hire, the products we make, and the places we live depend on water for habitat, wildlife and outdoor recreation," explained Kurth. America Rivers also points out that the Colorado River is not on its own in its shortcomings and in fact many other waterways on their list are subject to harm by outdated water management systems. Also falling on the list are the Flint River in Georgia, the San Saba in Texas and the Little Plover River in Wisconsin.The group points out that half of the rivers on their list suffer from contamination from mine discharge.